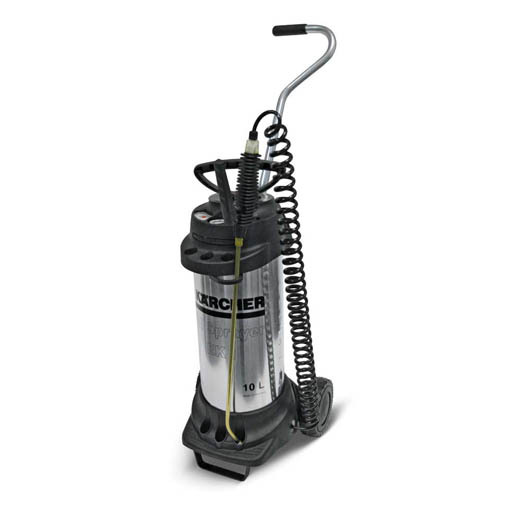 The Kärcher EK 1 Cleaning Agent Spray is a compact, mobile low pressure spray unit. It allows for uniform distribution of cleaning solution or disinfectants for pre-treating surfaces. The stainless steel 10L tank is can safely hold more aggressive chemicals or cleaning products. The container is pressured by manual pumping. The sprayer is equipped with a safety valve for reliving excess pressure.